Are you an enthusiastic Arts & Culture or European Studies student? 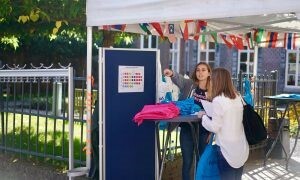 Would you like to become more involved with Maastricht University and FASoS? Become a Student Ambassador! The Student Ambassadors are the business card of the Faculty of Arts and Social Sciences and are active in all kinds of information and promotion activities such as the Open Days, Experience Days and Student-for-a-Days. As a Student Ambassador you will have the challenging task to help prospective students make the right study choice. You inform future students not only about the study programmes offered at our faculty and about our Problem-Based Learning system, but also about practical matters such as student life and housing in Maastricht. You get to share your personal experiences as a student in Maastricht and inform prospective students about your study programme, and earn some extra money. Send your CV and motivation letter to the FASoS Marketing and Communications Office before Friday 3 May at events-fasos@maastrichtuniversity.nl.